Meet Ana. She grew your coffee. From El Pedernal, Honduras. Serving in several community service organizations, she is a leader within her region. Ana sets an example for other women that they, too, deserve an equal role in coffee-producing communities. She and her husband have 3 children. Spending time with her family when she's not serving in one of her leadership roles. One of Ana's personal hobby is making jewely, even out of coffee beans! "Honestly? My biggest problem is how low the price was this year. 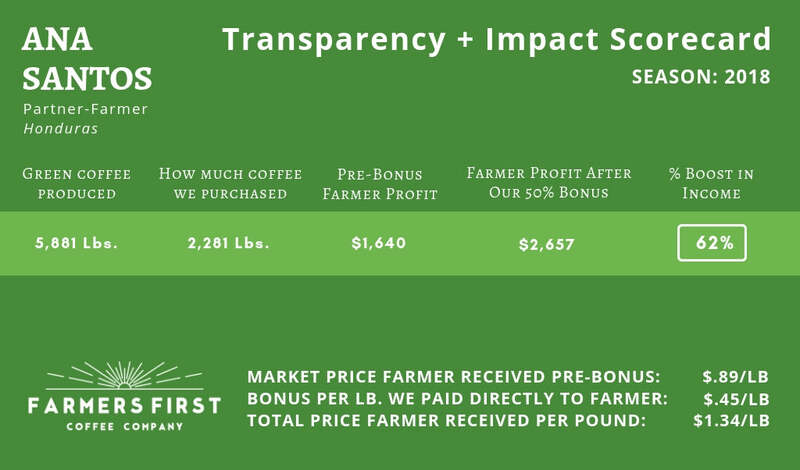 If the price of coffee were better I could solve all other problems on my farm." Ana would love for you to drink her coffee. Meet Rosa from San Ignacio, Peru. She grew your coffee. Learn more about her story. Meet Emiliano from Otuccho, Peru. He grew your coffee. Learn more about his story. © 2019 Farmers First Coffee Company, LLC. The story of coffee begins with the people behind it. All Rights Reserved.